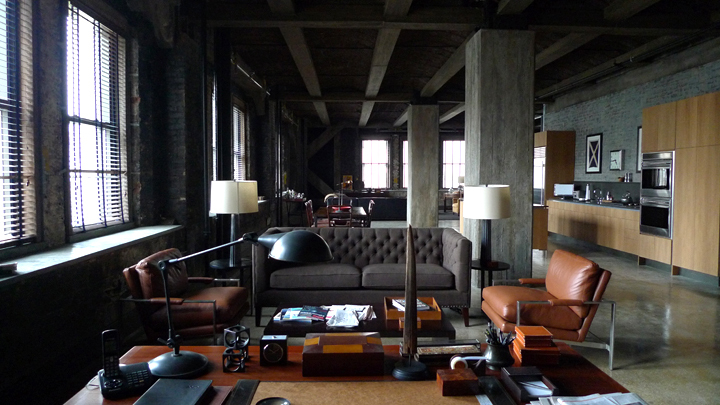 That instant knowledge of a character we get from the moment the set comes onto the screen is the result of the collaboration between production designer and set decorator, as perfectly realized in the hit romance/sci-fi thriller THE ADJUSTMENT BUREAU. 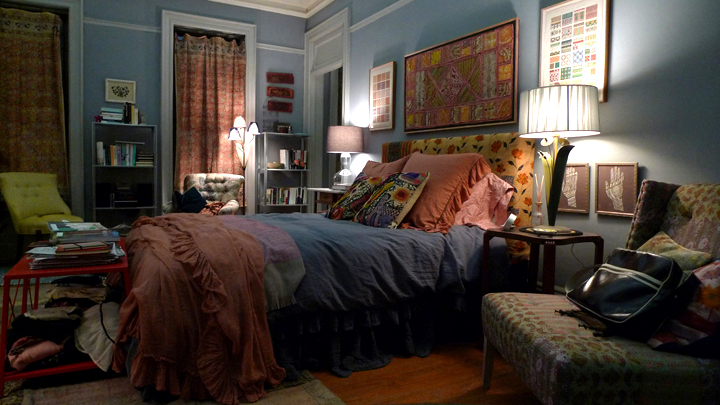 Set Decorator Susan Bode-Tyson SDSA and Production Designer Kevin Thompson offer us insight into the film’s visual clues to character, and Bode-Tyson reveals her New York shopping favorites! 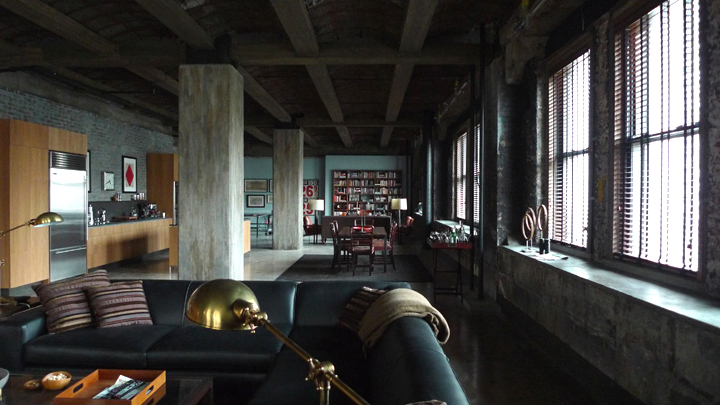 Note the rough beams and exposed brick counter-balanced by the polished floor…all textures reflected in the furnishings. Thompson designed the kitchen unit, which was built in-house. 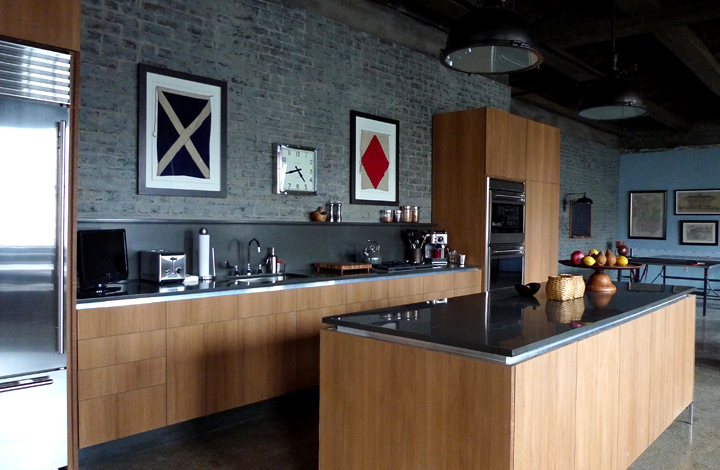 Kitchen elements limited to toaster, espresso maker and monitor wordlessly reveal character. 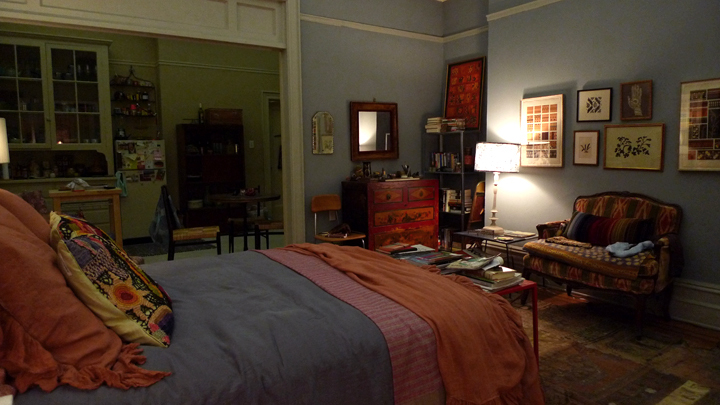 “Elise’s apartment was alive with pattern, color and texture,” describes Thompson. “She could offer David the things that were missing in his world and vice versa.” Bode-Tyson brought in handcrafted and ethnic elements, along with vintage pieces to convey the artistic vivacity of the contemporary ballerina and free spirit Elise Sellas [Emily Blunt]. “Large scale buildings in which human beings feel small are suggestive of otherworldly power,” states the film’s Writer/Director George Nolfi. 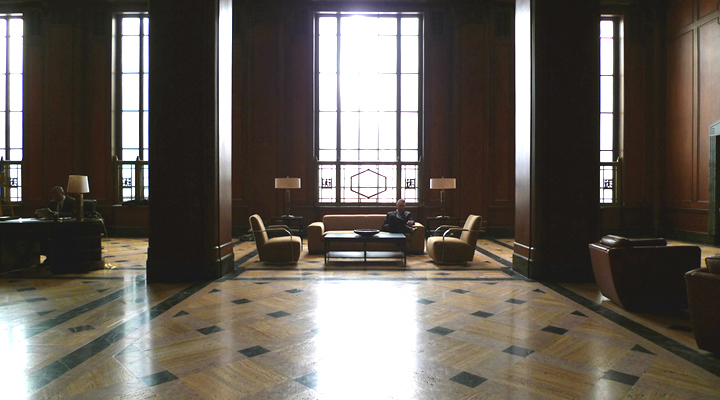 Thus, Thompson imparts, “The Adjustment Bureau space was all about the luxury of emptiness on a large scale.” Working in this framework, Bode-Tyson chose pieces that had a timelessness, that wouldn’t be associated with a particular era. She discovered the signature desk perchance when doing research, and was able to have six copies made.